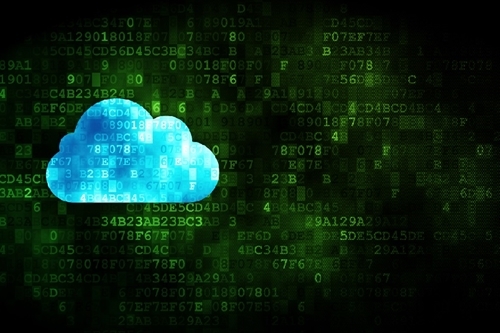 Cloud computing's influence in the public sector is undoubtedly expanding. There have been numerous examples of federal cloud adoption in recent months, with the Federal Aviation Administration's $100 million cloud contract perhaps attracting the most attention. As significant as these large-scale cloud computing deals are, though, it is even more important to recognize that federal cloud integration is gaining steam across virtually every agency. At the same time, agency leaders need to grapple with the inherent obstacles which still remain, and which much be overcome in order to fully benefit from cloud technology. "Federal agencies nearly tripled their investments in cloud solutions for fiscal year 2014." A recent report from research firm Govini highlighted the extent of the federal government's increasing cloud spending in recent years. The study found that federal agencies nearly tripled their investments in cloud solutions for fiscal year 2014 relative to the year before. What's more, the report indicated that this upward spending trend is continuing into 2015. These investments were spread out not just in terms of the agencies embracing cloud solutions, but also the types of cloud software which the federal government sought out. Notably, federal agencies spent approximately $1 billion on cloud-based office productivity software, up from $577 million in 2011. Financial cloud-based software and customer relationship management cloud solutions also saw significant and widespread growth. However, Govini emphasized that one of the fastest-growing areas of cloud investment in the federal government centers around software-defined data services. Between 2011 and 2014, spending in this area increased by more than 50 percent. Speaking to the Washington Business Journal, Larry Allen, founder of Allen Federal Business Partners, asserted that the effects of these trends are visible and significant. "The 2015 fiscal year has been the one where we've first really seen cloud acquisition start to establish more than just a beachhead in federal IT," said Allen, according to the source. "I'm going to be looking for the momentum to continue in [fiscal 2016] but I think the signs are encouraging right now that we're starting to turn the corner on federal cloud adoption." This is noteworthy for several reasons. Most notably, it suggests that many of the biggest obstacles standing in the way of broader federal cloud integration – namely, cloud security fears and concerns about the technology's complexity – are no longer holding agency decision-makers back. Instead, there is a fast-growing consensus that these issues are either outweighed by the cloud's benefits or not problematic in the first place. As more agencies have invested in a growing variety of cloud solutions and to an ever-increasing degree, any remaining concerns are bound to dissipate in the coming months and years. At the same time, though, the fact remains that this progress is occurring in fits and starts among many agencies. Speaking to MeriTalk, Representative Will Hurd, R-Texas, explained that there are cultural aspects to federal organizations which prevent cloud integration and migration from occurring as quickly as it could otherwise. "The government has not been adopting cloud technologies at the pace that it should," Hurd told the source. "Unfortunately, we've seen slow movement and a culture that so far has been unwilling to embrace cloud solutions." "Approximately 80% of federal IT spending goes toward legacy solutions." During a recent session of the Oversight and Government Reform Committees' IT subcommittee, which Hurd chairs, he emphasized that, by many metrics, federal cloud spending and integration is trailing that of the private sector. Most notably, he pointed out that approximately 80 percent of federal IT spending goes toward legacy solutions. During that meeting, Hurd also argued that many agencies' unwillingness to fully embrace the cloud is particularly difficult to understand considering the fact that the CIA and other intelligence agencies have largely committed to the cloud, and that this should demonstrate the technology's viability for less security-conscious departments. Fortunately, Hurd agreed that these barriers are falling away with time. "Looking ahead to fiscal year 2016, I'm hopeful the more we talk about the cost savings and potential efficiencies realized through cloud solutions and the more we dispel myths that cloud solutions are somehow less secure than onsite infrastructure solutions – the more Federal CIOs will be empowered to embrace cloud solutions," Hurd said, according to MeriTalk. However, while federal cloud integration certainly cannot achieve its full potential until these fears and cultural obstacles are removed, this should not be taken to suggest that these are the only things standing in the way of success in this area. In order to truly benefit from the cloud, it's essential for agencies to also approach the cloud in general, and cloud integration and migration specifically, with the right strategy and support. To this end, a dedicated partner with extensive experience and expertise in the realm of cloud integration should be seen as a critical component of any federal cloud adoption plan.